Before you put your house on the market, consider a proven way to sell your house: professional home staging. 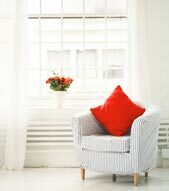 Some positive aspects of home staging include less time on the market and higher selling prices. If your goal is to sell your home quickly, go for a well-planned approach to home staging. Staging your house in Portales or Clovis is all about selling a lifestyle. You want buyers to picture themselves living and lounging in your house. You want them to see your current house as their future home. Curb appeal is your only chance to create a positive impact on buyers from a street perspective. The pluses and minuses that jump out at buyers form their first thoughts about your home and how you perform home's regular maintenance. Acknowledging this helps us to decide what actions we can take to entice buyers from the street and into your home. If your home's exterior isn't as neat as possible with refreshed paint and bright garden plants it's time to get those things done. 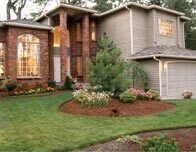 Refer to the Curb Appeal Checklist and boost your home's final selling price. Can buyers picture themselves watching a movie in your living area, relaxing in your spa tub or getting work done in your home office? We want your Open House to welcome buyers and offer them a sense of easy living. We'll help you accomplish this by recommending changes that highlight the features of your home. We'll advise you get rid of anything that gives the look of clutter. Table and counter tops should be cleared off. Knickknacks, souvenirs, family photos, and refrigerator artwork should get moved out of sight. We can help you simplify the decor of house. Less than inviting or busy spots make your home look smaller and buyers have a more difficult time seeing themselves calling your property "home". We know instantly where a room's best features are and how to show them off. We'll note the pieces of furniture that should be rearranged, rooms that need a fresh coat of paint, rugs needing to get changed, fixtures that need brightening, and any other improvement that can quickly be made to positively influence the sale. Buyers' agents know that their clients want a house that brings them inside. Personal items that could be unsightly should be put away so that your house will have general appeal during any visit. You'll know when to host an Open House, because all of the improvements mesh together to paint a picture of what buyers can look forward to when they consider buying your house. Brightening up each room is of major importance, so we'll do things like draw back curtains and change light bulbs where needed to welcome the buyer. Together we'll enhance the ambiance with enjoyable music playing softly and ensure a pleasant scent circulates room-to-room. We'll include cozy-looking throws, and throw pillows on your couch and bed. We want buyers to feel like your home has the potential to be. If you want more information about home staging to sell your home quickly in Portales or Clovis, contact Kiva Realty and we'll assist you with preparing the best image for your home.